Mainichi: Miss Universe Japan Ariana Miyamoto spurns ‘half Japanese’ label, seeks end to prejudice. 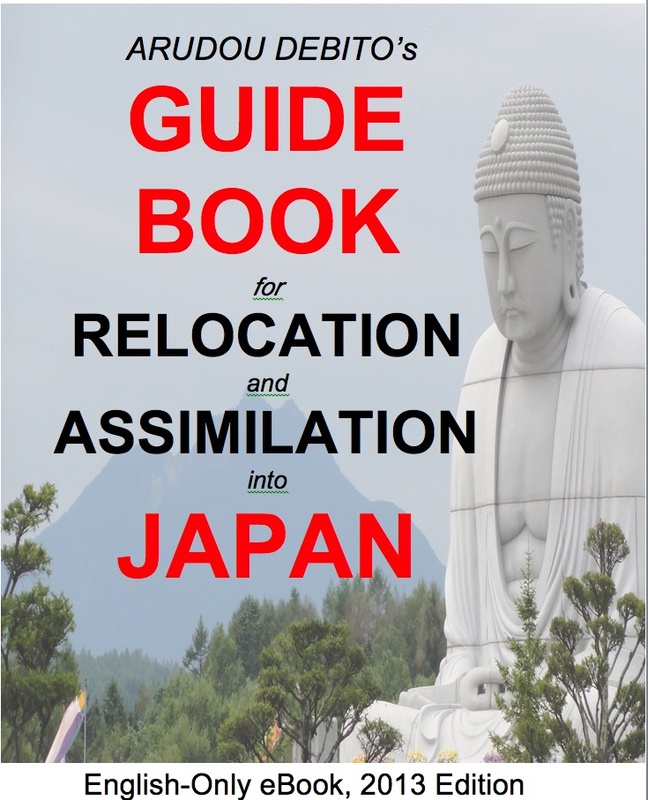 Good, but article in English only, not for Japanese-reading audience. 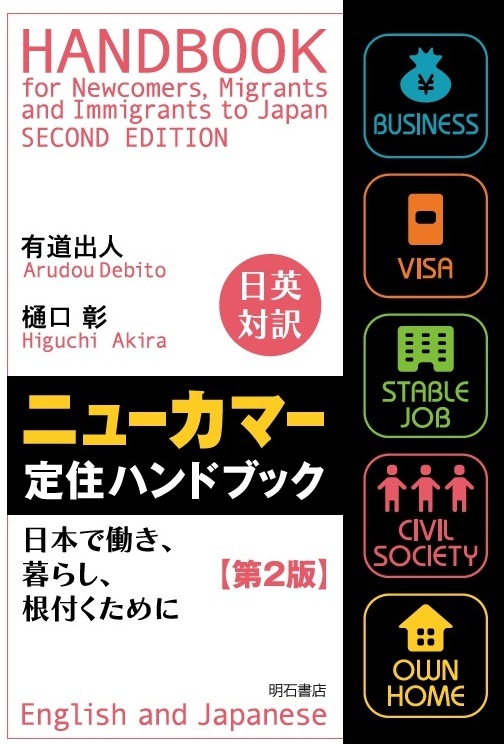 Posted on November 17, 2015 November 18, 2015 by Debito Arudou Ph.D.
As Japan’s internationalization continues, the country’s representatives in competitions abroad are also becoming increasingly diverse. The 31-man roster of the national rugby team that so electrified Japan in the recent Rugby World Cup, for example, boasted no less than 10 players born outside the country. And then there is Ariana Miyamoto, who this year became the first mixed-race woman to be crowned Miss Universe Japan. “There are foreigner athletes representing Japan, and then there’s also me,” Miyamoto, 21, told the Mainichi Shimbun in a recent interview. “I think Japanese society has changed a bit, but it still has a ways to go.” Miyamoto, the daughter of an African American father and Japanese mother, is set to represent Japan in the annual Miss Universe pageant on Dec. 20 this year. Miyamoto was born and raised in Sasebo, Nagasaki Prefecture, where her father worked at a U.S. military base. As a child, she was bullied for her different appearance, and even had garbage thrown at her. She spent two hours every morning before going to school straightening her hair to try and look the same as her classmates. “I hated the term ‘beautiful whiteness’ that was used so much in cosmetics commercials on TV, because you can’t really become white-skinned with makeup,” she recalled. She began to break free of such painful feelings when she started playing volleyball in the third grade. She proved very good at the sport, and in junior high school she was invited to attend a school in the prefecture renowned for its volleyball team. However, Miyamoto said she began to build real self-confidence when she went to the United States for high school. Her parents had divorced and her father had moved to Arkansas. Miyamoto moved in with him and went to the local high school, where she was complimented by classmates for her beautiful skin color. It was then that Miyamoto says she realized how diverse the world really is. After returning home to Japan, Miyamoto worked a number of jobs including as a bartender. She also had a mixed-race friend who had grown up in similar circumstances to herself. Her friend, however, was deeply pained by being unable to fit in inside Japan — a sorrow that eventually drove the person to suicide. “I want to end racial prejudice,” said Miyamoto, adding that this was her reason for auditioning to represent Japan at the Miss Universe pageant. According to a Ministry of Health, Labor and Welfare demographic statistics, the number of international marriages in Japan began to rise from the mid-1980s, peaking in 2006 with 44,701 couples tying the trans-border knot. That made up 6.1 percent of all marriages, or one in 17. Currently, fewer unions between Japanese citizens and partners from Asia have pushed the ratio of international marriages down to about 3 percent of the total. Nevertheless, they are hardly uncommon in today’s Japan. Meanwhile, the Japanese sports world is also looking more diverse, with Japan-born athletes like high school sprinter Abdul Hakim Sani Brown and baseball player (and recent Nippon Professional Baseball draftee) Louis Okoye making their mark. “I don’t want to be summed up with the word ‘haafu’ (half),” said Miyamoto, referring to the Japanese colloquial term for those with one foreign parent. “It’s the same as saying they’re not really Japanese,” she went on, and expressed hope that the presence of mixed race Japanese people like herself will eventually be considered completely natural. I’m glad that Ms. Miyamoto is doing well, and I agree with her goals, but this article is terrible! As Dr. Debito says, it’s aimed at the wrong audience. Also, it isn’t saying anything the very first articles about Ms. Miyamoto said a months ago! So, no progress (maybe because they are speaking to the wrong audience, but hey, what do I know?). And then there’s this ‘parade’ of ‘haafu’ who are supposedly proof that Japan is ‘changing’, led by the rugby team. And yet, most Japanese wouldn’t know that 1 in 3 members of the team are NJ born, and couldn’t name a single one of them because TV and even Abe are only interested in that Gomaru guy because he ‘looks’ the way they think a Japanese ‘should look’ and he’s got a cute pose to copy! That facile nature of Japanese social rascism. A long way to go? 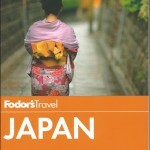 Japan’s still on the starting blocks! Keep those heads buried in the sand. Maybe I’m wrong, but I think the English language article is just a condensed version (with some additional info thrown in mostly for a non-Japan audience) of the second and third articles highlighted in your search above. Many of the quotes and ideas match up exactly, for instance. In that respect, then, I think the Japanese language version of the paper actually devoted more to this story than the English language version. In any event, though, I’m glad to see Ms. Miyamoto out there pushing this and the Mainichi helping her do it (and you, Debito, for bringing it to my attention). I agree with you, Debito, and I’m also an admirer of this remarkably poised young lady. Beauty, brains, and steely determination, a rare combination. Speaking of Goromaru (rugby is mentioned in the article) it must be a bit of a smack in the eye for Team Japan that he abandoned his country so readily for distant shores. Looks like Mainichi puts two pieces of Japanese articles into one ‘English’ plate for convenience. This means they didn’t bother publishing a whole interview scripture translated in English. Speaking of dual news editorial system. I stand corrected. It looks like the article was first published in Japanese as of October 14th, 2015, followed by English translation one month later. — Thanks to everyone for for passing that on. I wonder why the Mainichi decided to do a compilation a month later. I guess rugby was the peg. Wow, this is very good news. Thank you Loverilakkuma! The people that aren’t going to click on an article with “diversity”, “internalization” (多様性、国際化) on the headline are exactly the ones that need to read her message. And it’s summed up in those few words. Gasp! 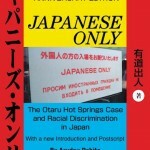 The word “discrimination” in the news used in the context of Japan! Excluding Debito’s writing I only remember the Urawa Reds’ “Japanese Only” banner scandal. It’s great she’s being tactful but to the point. She may realize herself that being too subtle doesn’t work. Actually the first article in Japanese I read about her in a while was the most recent one (Nov 27), the long interview “「私が日本人でないなら何人？」　ミス・ユニバース日本代表の宮本エリアナさん”. I feared that without more clear language her story might be misunderstood as “another” bullying case. Looking for info about her I stumbled by chance on a couple of blogs with comments that yes, dismiss her bullying as “things that kids do”, “don’t lie, I have never seen people throwing garbage” or “Japanese that were bullied don’t use the words ‘I was discriminated against'”. The problem is not these people, the problem is Japan at large is shielded from any facts and debate about discrimination. I dismissed it as very bad luck, but then another friend shared another experience. And newspaper articles that criticized racism began appearing, and I started to see the bigger picture. That’s why it’s so important “calling a duck a duck”. If Spain, that up to 15-20 years ago had *completely* different attitudes than the ones today, could become better through self-criticism and awareness, Japan can do so too. Ms. Miyamoto, I’m a fan! I mean, can you imagine? The discomforts that most gaijin experience are not to be disqualified but growing up like that, I mean come on. I wonder how an apologist could spin that. It also mentions that her halfu friend did suicide. This girls been through allot. Ive yet to see her on the multitude of discussion panel shows on Japan TV, talking about any of it. I hope she continues to inspire long after her reign. Sad how when she became Miss Universe Japan NHK didn’t see fit to cover any of it(and still don’t) but would rather some soccer player or the latest Sumo champ. I saw a news clip today on the early morning “news” show. First time I’ve seen her on tv. Not sure why as my Japanese is not that wonderful and it was a quick report. Can anyone shed a little light? 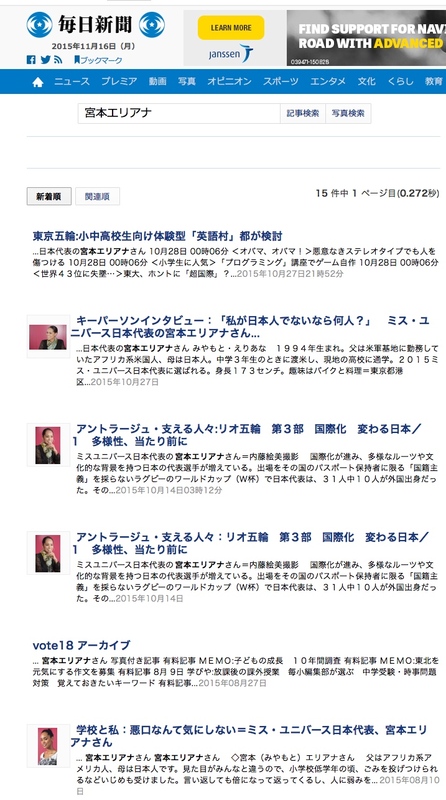 Since the J-media jump all over any ‘Japanese’ that think has international recognition, their failure to cover Ms. Miyamoto indicates that either they don’t consider her Japanese, or that she has ‘the wrong kind’ of international recognition. I would go one step further and propose that Ms. Miyamoto is damned on both counts; she has international recognition for pointing out that Japanese see her as ‘the wrong kind of Japanese’ (that is to say, the Japanese see her as a Japanese ‘citizen’ by legal technicality only, and not ‘real’ Japanese in the ‘Yamato race’ myth sense). Usually a Japanese Miss. Universe contestant would be the center of an on-going media circus, and ‘ganbare Nippon’ self-appreciation, in the run-up to the competition, and after not winning, virtually ensured some TV show host/eye-candy role after the competition. Ms. Miyamoto has been shunned by the media, and doesn’t enjoy the self-appreciation of the nation precisely because she uses her position to speak out against this type of shallow arrogant racist nationalism. If she fails to win Miss. Universe, J-society can go back to their racist slumber, but if she wins, Japan will be in the really tight spot of having to reconcile their pride that ‘Japan’ won something with the fact that ‘the wrong kind of Japanese’ won it. In the mean time, Japan is staying tight-lipped on the matter, ignoring Ms. Miyamoto and the negative image of Japan she is sharing, and hoping that she will lose so that they can forget her, and not have to face the problem of their racism- like an alcoholic hiding their addiction. As a mental exercise, remember the lack of fanfare Ms. Miyamoto receives in Japan, and compare to next year’s entrant, who you can guarantee will be 100% ‘Yamato’ but have looks that the Japanese consider to be ‘western’, will speak foreign languages, and will be an ‘ambitious go-getter’ with a motivational message, whilst at the same time totally demure, quiet, and subservient to any J-male in attendance.